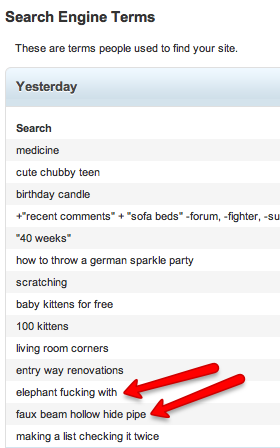 I love knowing the search engine terms that land people on this little web log. But you elephant fetishists and college students are probably terribly disappointed when you find me instead of what you’re really looking for. I got news for the elephant dudes: according to my stats, you are soo not alone out there!